This is a lifetime access to Stock-Graphics exclusive just for Only Lifetime Deals. We managed to get you a lifetime access for Stock-Graphics for only $39 instead of $4999. 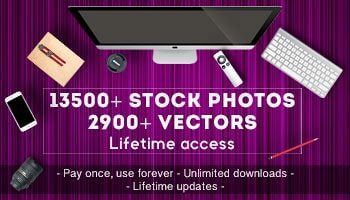 You can download over 14.000+ Stock Photos and over 2900 Vector files + you will get lifetime updates forever. Yes you heard that right – LIFETIME ACCESS. This entire collection comes with an extended license, allowing you to use it in unlimited commercial projects and even in merchandise, without any additional fees! With a lifetime account, you will not pay any cent ever and you can download the actual photos and vectors and the next ones without further payments. Get this now before the deal runs out! !